Store-bought flooring may only last a few years, but you want your antique rugs and carpets to last a lifetime and beyond—especially if it was passed down to you from a cherished family member. The truth is that while antique rugs and carpets are durable, they’re also fragile. They require special care to keep their natural beauty and luster, so we’ve rounded up a few of our best tips to help you keep your antique rugs and carpets in tip-top shape. 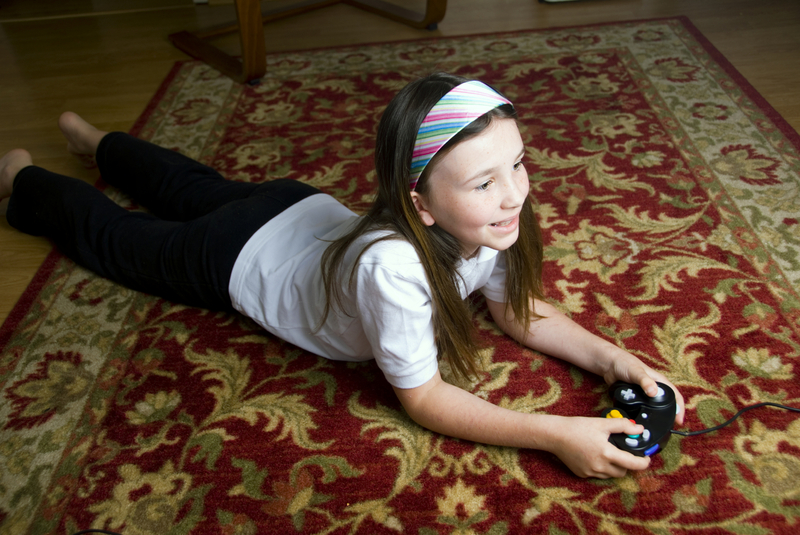 A firm pad placed underneath an older carpet or rug not only provides more comfort, but also extends its life. A sturdy, well-placed pad can protect it against stretching, fraying and sliding on wood or stone floors—all things that can quickly wear on your antique rugs and carpets. Another benefit of a carpet pad: It helps keep furniture from poking through. Your Dyson or other expensive vacuum cleaner might work great on commercial carpets, but don’t use them on antiques. The rotary action of an electric vacuum is typically too rough and can pull out carpet fibers, fray edges and even pull out knots. Instead, invest in a push sweeper that generates cleaning power through static electricity. The back-and-forth action is enough to clean dirt from the pile and bring out the nature luster of the antique rug or carpet. You can also use a straw broom to gently clean, too. You might have your less-expensive carpets and rugs cleaned professionally every year or so, but antiques only need to see a professional cleaner once every five or six years. Be sure to only hire a cleaner who specializes in antiques so you know they’re being cared for by hand without harsh cleaners. Antique rugs are particularly susceptible to fading from the sun’s direct ultraviolet rays. Try to keep your antiques out of the sun as much as you can. If that’s not possible, be sure to rotate your antique rugs 180-degrees every few months to keep it even—and consider screening your windows with clear plastic film designed to block out UV rays. Adding cups or protectors underneath your furniture can keep it from crushing antique rugs and carpets, as well as protect it against the natural sliding that furniture does over time. It also keeps furniture from snagging the carpet fibers and fraying the edges, two things that can ruin an antique in a short period of time. Most stains can be prevented by blotting up fresh spills with a clean, moist cloth. Use a gentle blotting motion—from the edges toward the center—to sop up the liquid and then either hang it outdoors to dry, or elevate the spot to let it air dry. Don’t scrub or use any store-bought or homemade cleaners. Gentle baby shampoo can help remove stains you can’t get out with a cloth, but your best bet is to get professional help, especially if it’s a hard-to-remove stain (like red wine).